It is interesting that the Legal Officer stated any discussion should be in Part 2 due to commercial sensitivity yet all of the figures for how much Kingdom are being paid are on the Councils website along with all payments over £500. Why does one Department slap on a security restriction when the Council has a legal duty to publish transactions. Just looked at the Council listing of payments and there is quite a bit you can glean from the information — it is very strange why the Legal Officer did not want the information about Kingdom discussed in Public. Does anyone know do you actually pay the Fixed Penalty Notice to the Council or direct to Freedom? Not sure on that… BUT i believe ALL refunds come out of the Councils Money, hence why KINGDOM feel Carte Blanche to go ticketing crazy. There is an extremely high chance that all Kingdom fines may have to be refunded in the near future. The Welsh Assembly are currently investigating. 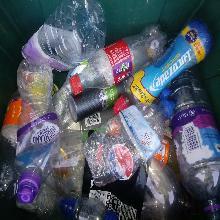 Wrexham only area in North Wales to be left with Kingdom litter enforcement. A litter enforcement firm will stop issuing fines in Conwy, Flintshire and Denbighshire months earlier than expected – with Wrexham remaining contracted to the company. North Wales Against Kingdom Security will be turning it’s full attention on Wrexham now, Kingdom will be gone from Wrexham eventually, but in the meantime can people please not deliberately litter but if you do accidentaly drop something or your child accidentally drops something and you are approached by Kingdom do not give them your details. Ignore their empty threats of a £2000 fine and of police backup for refusal to give your details and calmly walk away. I can’t understand why your group are campaigning against Kingdom Security when it’s Kingdom Environmental Services that you should be directing your bile against. It’s a funny one because even the local and national press for years have been referring to them as Kingdom Security in relation to litter enforcement stories. Back through to 2015. Talk about the wrong division getting a kicking. Kingdom has a very strong commercial reason for pulling the plug on their contract with Flintshire and Conwy rather than the Councils cancelling. Having a commercial contract terminated by a Council would have to be divulged in future bids for work and could be scored against them – cancelling a contract does not have the same penalty issue. It probably won’t take much more pressure for them to say they are walking away from Wrexham — lets hope the protests are strong enough to attract TV media attention.